Finally!! 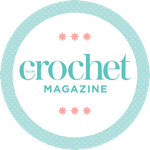 I promised this months ago and here we are, I have pulled my finger out and made a tutorial for my crochet bobble edging. Rejoice!! It’s over on YouTube, the pic above is the link but feel free to travel HERE to the whole channel. 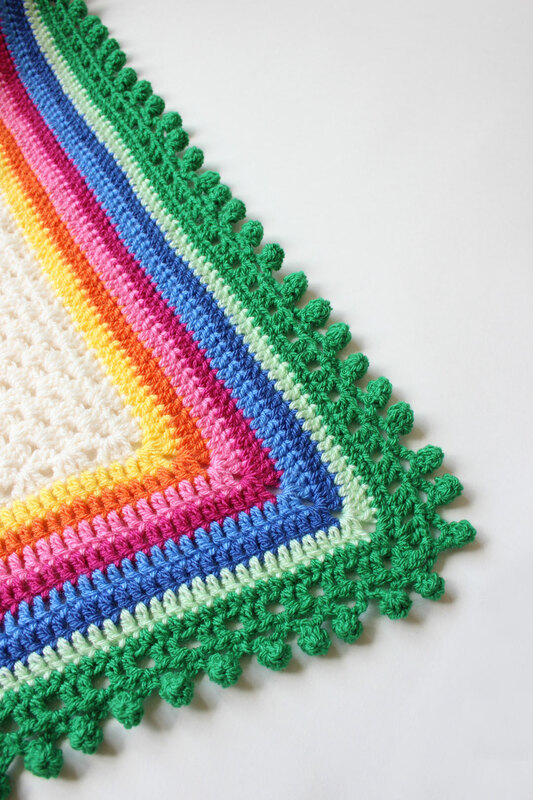 You can add this edging to pretty much any blanket, scarf, cushion etc. If the multiples don’t work then I’m all in favour of wangling it so that they do! Crochet is not offended by mild cheating. But for you sticklers out there it’s mults of 3, plus 1 and the corners [my corners are (2tr, 2ch, 2tr)]. For the swatch in the video and the rainbow edged striped blanket pictured here, I used Lucy’s Attic 24’s Granny Stripe tutorial. 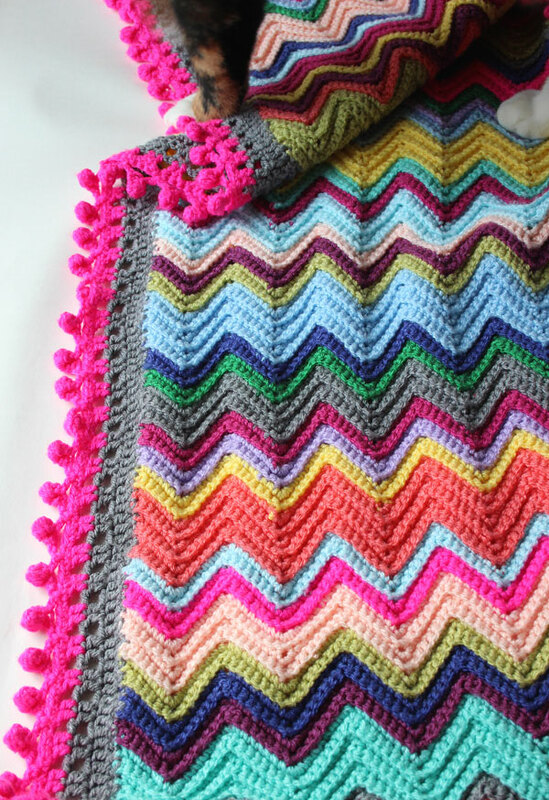 For more details of making a rainbow edged blanket I have a tutorial for that too! It’s HERE. Just in case you want to know, I used some random acrylic dk and a 3.75mm hook, which might be a bit small if you have a tight tension. I first came up with a version of it when I made Sandra’s Cherry Heart A Touch of Spice blanket. (This seems like a lifetime ago!). At the time I made a photo tutorial. It’s just ever so slightly different but it will help here if you want pics. What do you reckon? 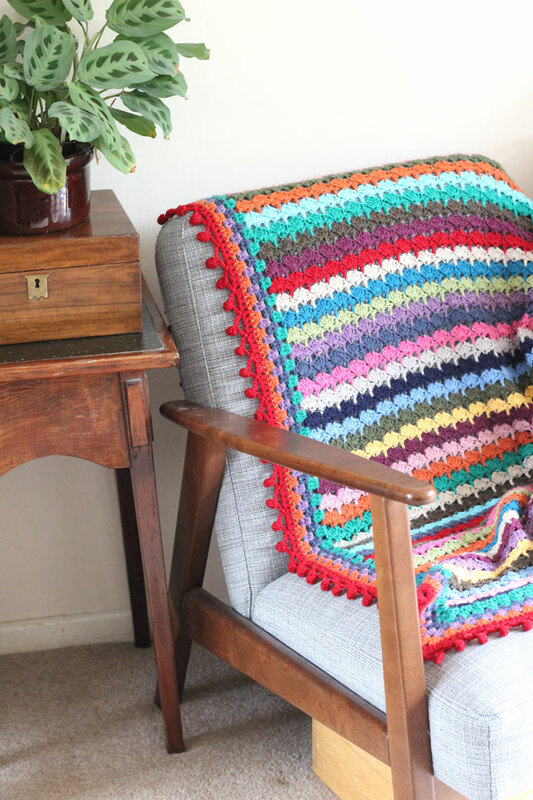 I can tell you that it’s time consuming, and on a giant blanket you might get a bit miffed of having it take so long. However, it’s worth persevering as it looks great!